The Red Sea, North and Sinai. — The Red Sea, North and Sinai. This was Russ and Barbara's first ever Liveaboard experience. This is the best way to experience Egypt. 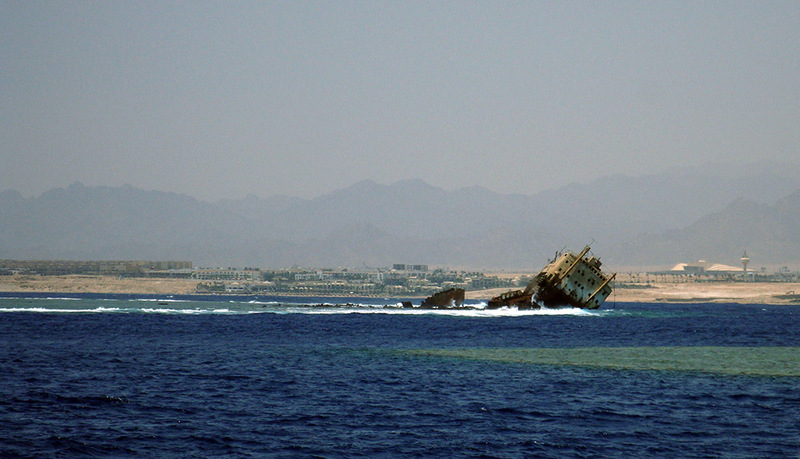 Despite arriving in Egypt during an unrest period, all the arrangements made by Pro dive ran like clockwork. They were on the boat, Lighthouse Miracle 1 for a dive trip which included the normal Northern Red Sea high lights, including, the Thistlegorm, Shaad Abu Nuhas and Gubal wrecks, Ras Mohammed National Park and then onto the special itinerary included the famous Dahab dive sites like the Blue Hole, Canyon and the remote Gabr el Bint. If plan A did not work, due to unforeseen circumstances (either poor weather or unrest situation), there was always a plan B and sometimes C. “Thank you to Pro Dive and Lighthouse miracle 1 for all their very competent organizing." Barbara and Russ had a great liveaboard experience. Whilst many divers complained about the unseasonal weather experienced, with strong wind and large sea swells, our Cape Town based couple loved it, as it kept the day boats at bay and made it possible to dive many of the popular dive sites without any other divers. On Their very first dive they were welcomed by a pod of friendly Bottlenose Dolphins. Diving the Thistlegorm was fabulous and Russ was able to shoot some great footage with only the 20 Lighthouse Miracle 1 divers on the site. This dive site can apparently see up to 200 divers a day. Diving at Ras Mohammed National Park was the highlight of the trip, with stunning coral and fish life and a 700m deep dropoff. Wow, with tactical organizing, the dive operator got their clients to all the dive sites first, before the day boats arrived.